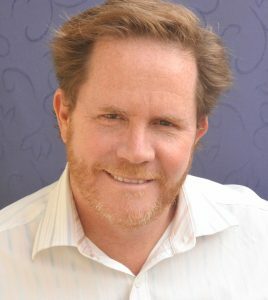 With over 20 years experience, Melbourne Hypnotherapist, Dr. Bruce Alexander offers private hypnotherapy consultations at his clinic at 77 Willsmere Rd, Kew. After working for 10 years as a medical researcher, Bruce was seeking a new career where he could support people more directly to improve their own lives. He was inspired to train as a hypnotherapist based on his own successful experience using hypnotherapy to gain control over exam anxiety while he was at university. Hypnotherapy is a quick way to achieve a relaxed and focused state of consciousness which is similar to that experienced during meditation. Deep relaxation is healthy for the mind. However this altered state of awareness can also be used to improve your quality of life in many different ways and help you to change the behaviours you want to change. A good hypnotherapist is a life coach who helps keep you on track, overcome obstacles and improve on your strengths using positive imagery and positive suggestions. Call our clinic 9am-5pm Mon-Fri on 03 9853 3221. Still unsure if hypnotherapy is right for you? Call the clinic to arrange a free 15min session with Bruce Alexander to answer your questions and explore how hypnotherapy can help you achieve your goals. Private Health Insurance: Hypnotherapy can often be included as part of private health insurance coverage. A list of private health insurance providers that are known to include hypnotherapy in some of their products is provided here. Please check your individual cover to confirm if you are eligible for reimbursement or rebate. *Testimonials included on this website are provided by individual clients describing their personal results and experiences. They are included here as examples of services provided and what can be achieved. Hypnotherapy is dependant on the indiviudal and their unique motivations, experiences and situation Therefore results can vary for each client. We are unable to make guarantees that you will experience the same results as clients who have provided testimonials. Melbourne Clinical Hypnotherapy is accessible for people in: Abbotsford, Armadale, Balwyn, Bentleigh, Black Rock, Box Hill, Brighton, Brunswick, Bulleen, Bundoora, Camberwell, Canterbury, Carnegie, Caulfield, Chadstone, Cheltenham, Clayton, Coburg, Collingwood, Deer Park, Doncaster, Elsternwick, Eltham, Elwood, Epping, Essendon, Fairfield, Fitzroy, Footscray, Glen Iris, Glen Waverley, Glenhuntly, Greensborough, Hampton, Hawthorn, Heidelberg, Highet, Ivanhoe, Kew, Kooyong, Lalor, Laverton, Lower, Plenty, Macleod, Malvern, Middle Park, Moonie Ponds, Melbourne, Moorabbin, Mount Waverley, Murrumbeena, Northcote, Oakleigh, Ormond, Parkville, Pascoe Vale, Port Melbourne, Prahran, Preston, Richmond, Rosana, Sandringham, South Yarra, Spotswood, St Albans, St Kilda, Surrey Hills, Templestowe, Thornbury, Toorak, Tullamarine, Williamstown, Yarraville, North Melbourne, South Melbourne, East Melbourne, Melbourne.